some advantages compare to the other conduits in wire and cable protection. Here are some characteristics of them. Plastic corrugated conduit is used to protect wire and cables, especially in some terrible situation. The other conduit could not be fixed easy, and also have a good protection of them. 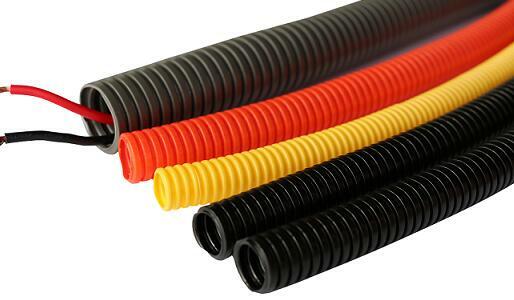 There are too many fittings are used to connect plastic corrugated conduit, it’s very convenient. Rohs plastic corrugated conduit are more environment. Compare to other conduit and chain, plastic corrugated conduit is easy to produce. General a machine could produce 120,000m plastic corrugated conduit per day. We could customizable sizes, colors, packages, quantity, materials etc. The above are the characteristics of plastic corrugated conduit. If you have any other ideas about plastic flexible conduit, any ideas and feedback will be appreciated.